I have a 3340, fed with a multi-LNB arrangement with DISEQC switches. I am limiting my testing to tuner 2 (DVB-S) and on that tuner just one satellite (DISEQC command AB) and am getting peculiar results. (Without repeating this exactly, it looks like I get the same result if I repeat with tuner 1). Depending on which frequencies I select, I am either able to get the channels "Available" or they "Can not lock". With five frequencies selected, 11.156 and 11.627 are not available. 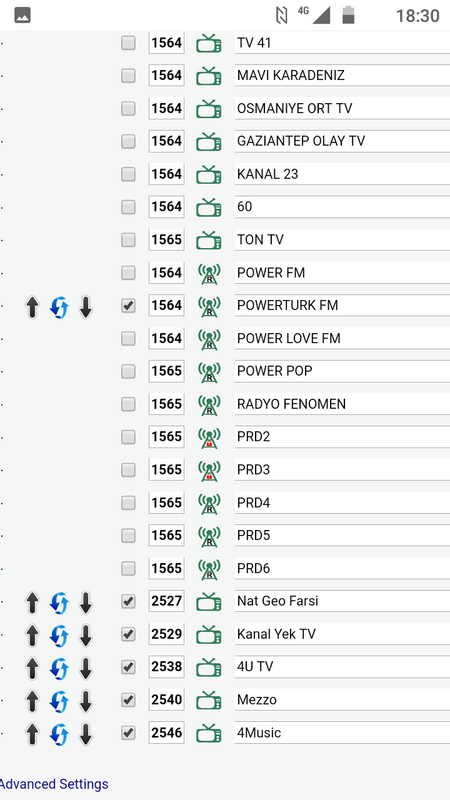 With three frequencies selected (and 11.156 first), then 11.156 becomes available but 11.627 remains unavailable. With one frequency selected (11.627), then it becomes available. Is there any explanation for this inconsistency? I would like all frequencies to be locked. Is there any finer control over the scanning process? Please refer to the diagram above. There is a single dish with three (identical) universal LNBs on a multi-LNB mount. They are positioned for Astra 2, Astra 1 and Hotbird. I do not know the model number. Each LNB has four outputs, feeding four (identical) DISEQC switches as shown. Astra 2 is command AA on the switch. Astra 1 is command AB on the switch. Hotbird is command BA on the switch. The fourth input on the switch (command BB) is unused. The switches are Technomate TM-4S. I have been using the system with a Vu+ Solo2 (Linux set top box) for over a year. The Solo2 has no problem with tuning the three satellites. I hope that helps, please let me know if you need any further information. Any ideas? Is there a tuning log file that can be accessed? Quick question - why do you use 4 separate DiSEqC switches and not 1 with support for 2 devices? Thanks for the escalation - could you give me some idea of timescales as I have a vbox that I can't really use at the moment until I am sure I can get it to tune properly? With regards to your question about the choice of switches, I agree it could have been done with a multiswitch but the individual diseqc switch approach minimised the amount of cabling (as they are pole mounted under the dish) - just four cables coming off the pole into the house. Hi admin, could you give me an update please? 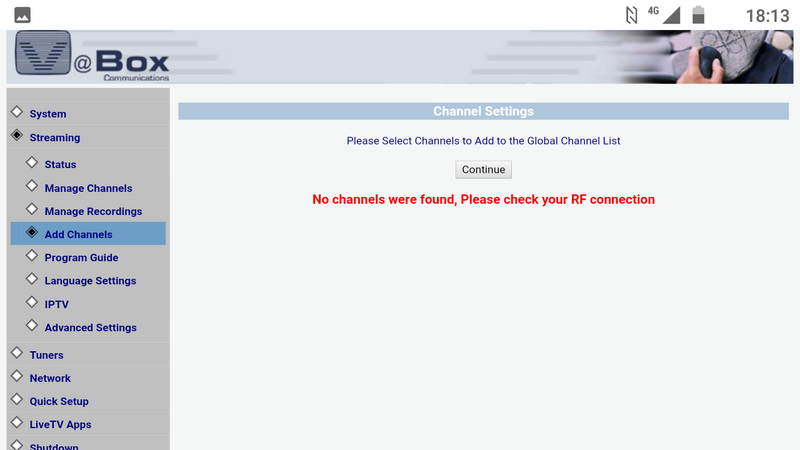 Any attempt to add channels leads to this result. When installing from the beginning and erasing all existing channels everything is ok.
is this known issue if existing firmware? Last edited by amdr1 on Sat Dec 08, 2018 4:21 pm, edited 1 time in total. It is important to note that the channels (2527-2540)from the scanned transponder appear in the general list, but an attempt to view them leads to a network error. After manually adding relevant diseqc settings to channelList.xml the problem was solved. But the 3332CI has a bug. It isn't right after scan edit the files manually .